Questions from the past 20 years GATE CS/IT question papers. Grouped and organised by topics relevant for the GATE exam. Concepts for each topic explained succinctly for easy understanding. Step-wise interactive method of practicing solutions for each problem. Concept-wise feedback to understand areas of strength and weakness. Download Mylspot Maths Companion or Mylspot Physics Companion from google playstore. Enrolled into a program by a Mylspot mentor? Login, then click on Learn to access your content. Your company is part of Mylspot corporate network? 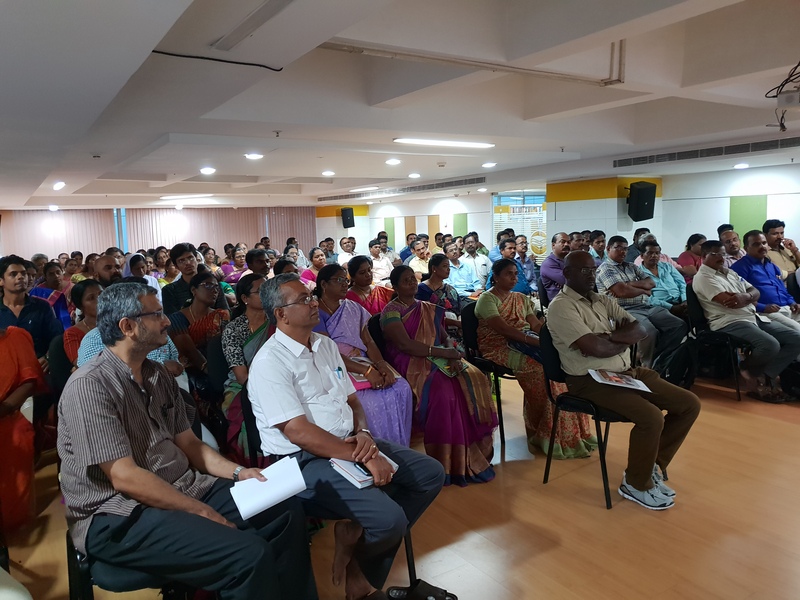 Mylspot in association with partners conducts augmented learning (AL) workshops at schools and colleges to identify and narrow learning gaps of students. Students are provided with a tablet containing specifically curated problems set in a familiar and interesting context - for example the game of cricket. Based on automatic analysis of the student's performance, additional learning items are revealed to each student: more challenging problems for those with high performance, and for those with lower performance, easier problems or problems chosen from those pre-requisites which are identified as areas of weakness. In conventional learning systems. each problem or activity is treated as an indivisible atomic unit to which metadata such as concept categories, and correct and incorrect user response can be tagged. In the Mylspot method, each learning content unit (problem or activity) is broken into steps . Each step corresponds to the use of a specific concept or method needed to solve the problem or perform the activity. It is the step that is tagged with metadata (concept linkage and the Bloom’s taxonomy indicator of the linkage). A learning content unit can also be multi-part , in which a broad problem is described and each of the problem’s facets is explored in a part. Multi-part can also be used to capture different ways to solve the same problem or perform the same activity. Since most learning systems do not delve into the structure of the solution to a problem (or method to perform an activity), they also have no mechanism to hand-hold the learner through the process of discovering the solution. The learner has limited choice – either they can attempt the solution on their own, or else they can look up the entire solution from the answer explanation. In Mylspot, the learner is exposed to the solution gradually through a series of hints . Each hint exposes only one step of the solution to the learner. This way, learners are given an opportunity to work out the remaining part of the solution on their own. The presentation of carefully curated learning content using Mylspot methodology resembles a dialogue between an instructor and a learner in a well structured classroom or 1-1 tuition setting. Given a problem, the teacher asks a leading question and helps the learner construct a step of the solution. The learners are then encouraged to work through the solution themselves. Mylspot methodology has been extensively validated both theoretically and through field experiments. Game theory modeling shows that while learners are reticent about disclosing their learning deficiencies in normal settings, the Mylspot mechanism incentivises learners to voluntarily reveal their weak areas. Learners who are doubtful of their knowledge will opt to lose some marks to gain access to a hint so that they can fully capture the remaining marks. Those who are not so doubtful will opt to do the problem on their own without the use of a hint. This has been empirically validated through extensive experiments carried out with several hundred learners in different settings. Mylspot analytics uses the learning gap information revealed by the use of hints to determine the (absolute, relative and chronological) level of learners in each conceptual area. By picking assignments from only the weak concept groups, Mylspot ensures that the learning gaps are properly fixed in sequence, and hastens the achievement of proficiency in the target area. 27 Feb, 2018: Dean's seminar presentation at IIMC, Kolkata "Can we assess learning outcomes at scale without using exams? Can Game Theory Provide Answers?" examines the issues with high-stakes testing and explores alternative assessment methods using computer adaptive learning. The game theoretic foundations behind the Mylspot methodology is explained in the presentation. 7 Jun, 2018: IITM signs MoU with TN State Government to pilot augmented learning programs at 100 TN State Government schools using Mylspot technology. See signing event photo. 26 July, 2018: Mylspot demo to 100 TN State Goverment schools at the Anna Centenary Library. See photos here and here . 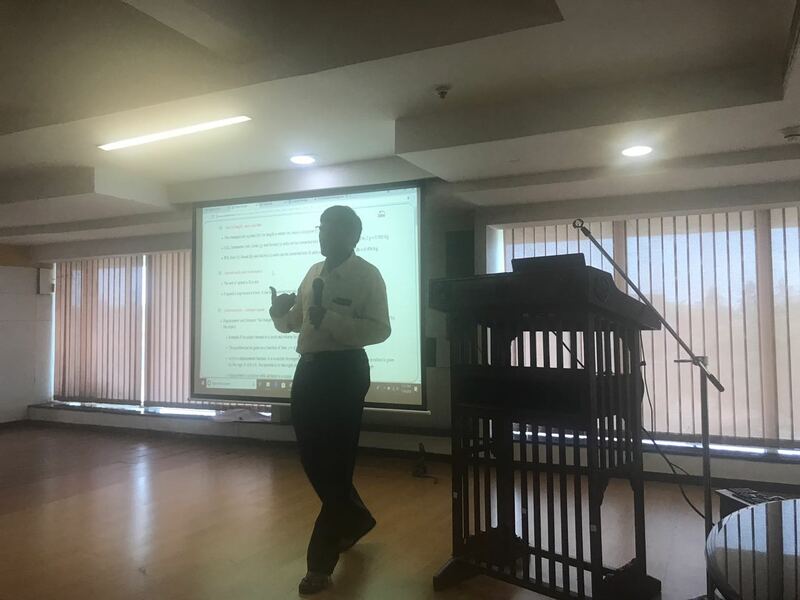 23 Aug, 2018: Presentation at the (Cambridge Mathematics Symposium India) on "Design of Maths Curricula: An external perspective" presents the need for curating content specifically for eliciting feedback and encouraging thinking, based on Mylspot learning method. See presentation .